Check out our 3-D tour! Picturesque 3 stry home w/2.5 car attached heated garage on nearly an acre lot of a cul-de-sac surrounded by the true serenity of nature! New carpet, furnace, water heater & appliances! Vaulted ceilings upon entry. Bathing in sunlight w/ plenty of windows & allowing easy backyard access is the spacious Living/Dining combo. Kitchen boasts cherry cabinets, center island, and breakfast bar w/ additional convenient backyard access through the double slider doors in Fam rm. 1st floor Laundry. Charming Master bdrm suite has private balcony, walk in closet w/ built in shelving, & private master bath featuring Jack and Jill sinks, separate shower, soaking tub, & mirrored storage closet. Unique area overlooking Foyer Full English basement provides Rec room, generous sized office, & tons of storage. Gigantic backyard is perfect for entertaining on the brick patio & expansive deck. Nearby walk/bike trails and schools. I was searching on Blue Fence and found this listing. 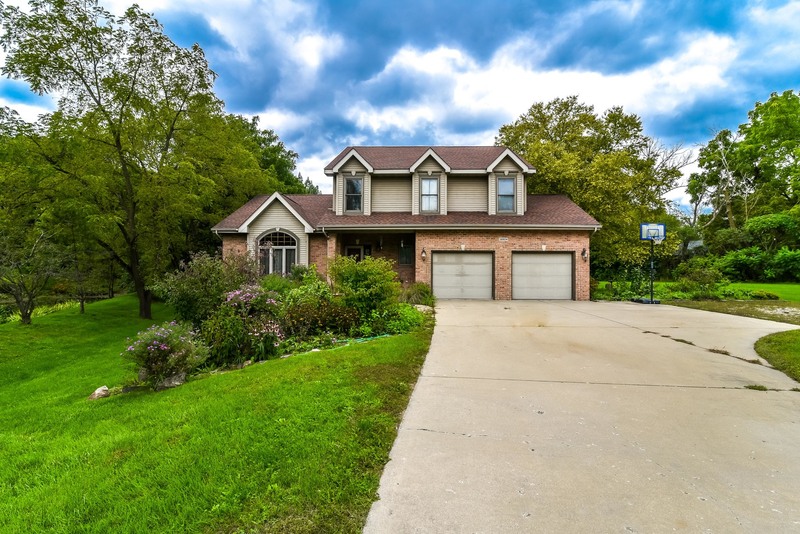 Please send me more information about 38924 North Cedar Valley Drive , Lake Villa, Illinois 60046. Thank you.